Judges are to rule Thursday on whether German cities can ban old diesel cars to reduce air pollution, with potentially dramatic consequences for a key industry and transport policy in Europe’s largest economy. Even if it finds in favour of anti-pollution plaintiffs after deliberations start at 1000 GMT, the Federal Administrative Court in Leipzig will not order any vehicles off the road. But it could open the way for cities to do so in zones whose air is particularly contaminated by diesel exhausts. “If we lose, we’ll be in deep trouble,” Baden-Wuerttemberg state premier Winfried Kretschmann told news agency DPA Tuesday. A court decision for bans would “allow people in German cities to breathe clean air by the end of the year,” said Juergen Resch, head of NGO Deutsche Umwelthilfe (DUH), which brought the original case. Fine particle pollution and NOx contribute to as many as 400,000 premature deaths from respiratory and cardiovascular disease per year in the European Union. To fend off bans and protect the Keystone auto industry with its 800,000 jobs, Berlin has offered a cascade of initiatives, including a billion-euro ($1.2 billion) fund — partly paid for by carmakers — for cities to upgrade public transport and buy electric vehicles. Ministers even suggested to the European Commission they could offer free public transport to cut down on urban car use, although without a detailed plan or budget. The Leipzig court could on Thursday signal an end to such piecemeal measures by allowing diesel bans in principle. State leaders insist the federal government would then be on the hook to help them avoid bans if possible or to help enforce them if necessary. Such nationwide action could include the introduction of a so-called “blue badge” to identify the least polluting vehicles — so far firmly rejected by Berlin. Meanwhile, DUH chief Resch suggests that “a decision in favour of driving bans would greatly speed up modernisation” of Germany’s diesel fleet. 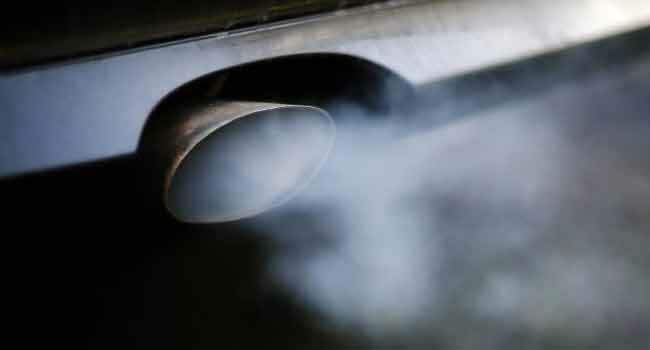 Car companies have resisted hardware refits of older diesels to slash emissions, instead offering updates to engine control software and trade-in programmes for newer, less polluting models. New catalytic converters “would not be much more effective” and “would take a lot of time” to install, Audi chief executive Rupert Stadler told business daily Handelsblatt Wednesday. A refit would cost at least 7.6 billion euros, a study by analysts at Evercore bank cited by Handelsblatt found. Nevertheless, even car diehards the German Automobile Association (ADAC) came out in favour of the measure Tuesday in a study of their own. Diesel’s bad image and the prospect of bans have already pushed sales of the German-invented motors into a deep slump, from 48 percent of new cars sold in 2015 to 39 percent last year. Such reputational damage has pressured carmakers into stepping up plans to introduce more electric models in coming years. But after repeated delays from industry and government, Thursday’s case “could be the one that changes the country, its mobility and its industry” for good, daily Sueddeutsche Zeitung summed up.